THE Newman Government is targeting the handful of paid staff who look after the state’s 35,000 rural fire volunteers for job cuts. 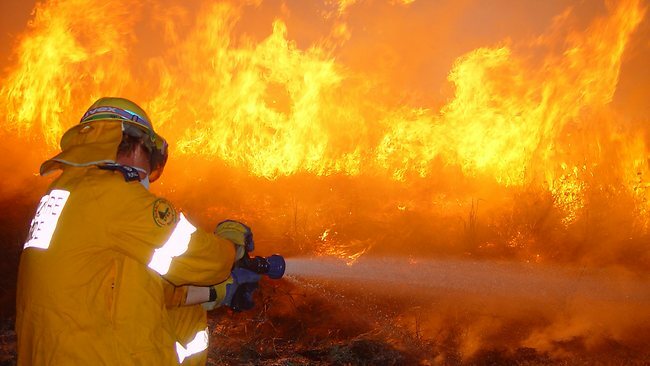 It is also yet to come up with a promised plan to extend funding for about a dozen bushfire mitigation and education officers created by the Bligh government after Victoria’s royal commission into that state’s fires of 2009. Of the 20 or so civilian staff who deal with the training, marketing, promotional and legal needs of volunteers, none is designated “frontline” staff. That means they have no protection from job cuts under the definitions being used by the new administration. An insider told The Courier-Mail several meetings had been held in recent weeks where a “human resources woman” had addressed staff to talk about redundancies.